Dive deeper into understanding your employees, because knowing what your employees really want from their work is a win-win for everyone. By engaging your workforce, you can transform your business and improve your bottom line. How Self-Service Technology Can Deliver an Ideal Employee Experience In this white paper, learn how HR tech lays a solid foundation for the best possible employee experience. You’ll also find out why nearly 90% of HR professionals agree self-service technology is the most efficient method of providing payroll and HR information to the workforce, according to nearly 90% of HR professionals. 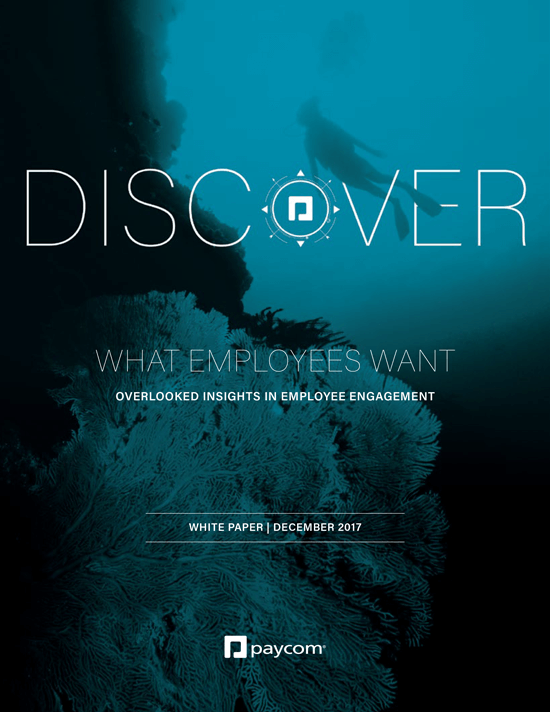 What Employees Want: Overlooked Insights in Employee Engagement In this white paper, you’ll learn how to find out what your workers really want from your organization, and how you may have to look in unexpected places to find out what really drives engagement. 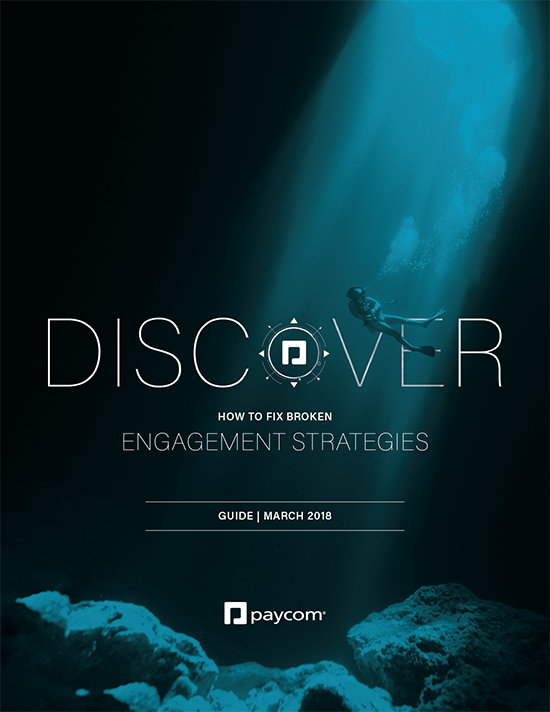 How to Fix Broken Engagement Strategies With this bundled guide, customizable workbook and action-item checklists, you’ll have the tools you need to begin improving the employee experience and building engagement strategies that work. Check out the employee engagement section of the Paycom Blog to learn further strategies for improving your workforce’s experience every day – from onboarding to retirement.